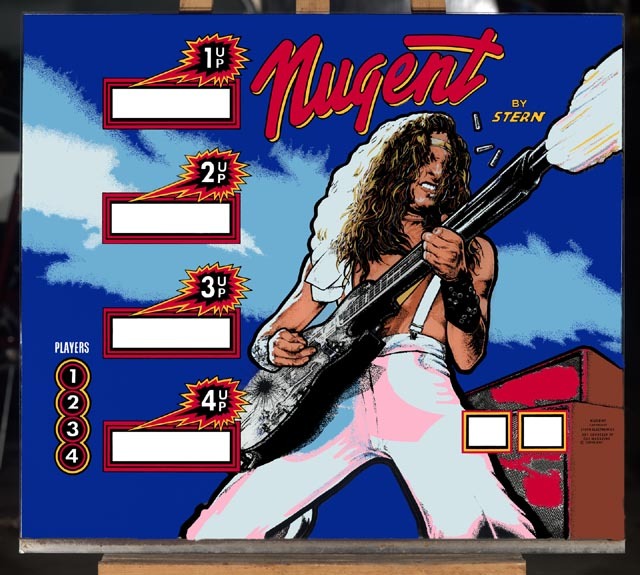 The good thing about these classic Stern games is the copyright is not protected, leaving many people (other than us) to reproduce the classic Stern 1977-1985 backglasses without any legal fears. 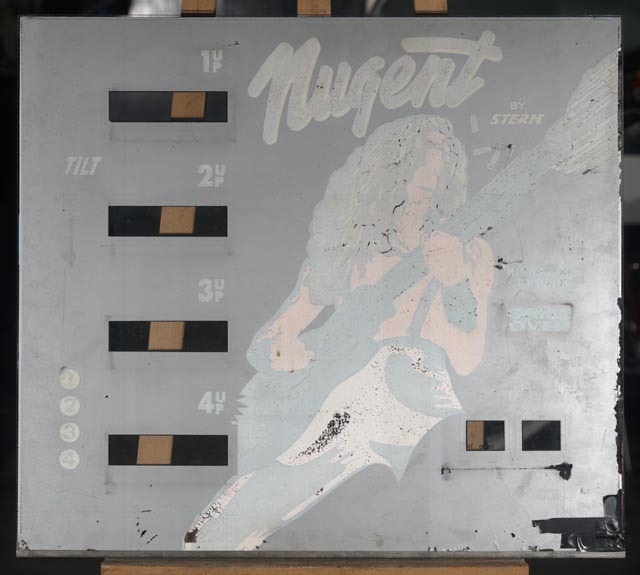 Because of this, when a customer walked in with a Stern Nugent backglass, we not only could restore his original, but can also sell duplicates. (So if you’re looking for any of the classic Stern backglasses, please contact us.) The only trick with many of these classic Stern glasses is that they use mirroring. Originally the clear glass was mirrored in specific areas of the glass, and then silkscreened. 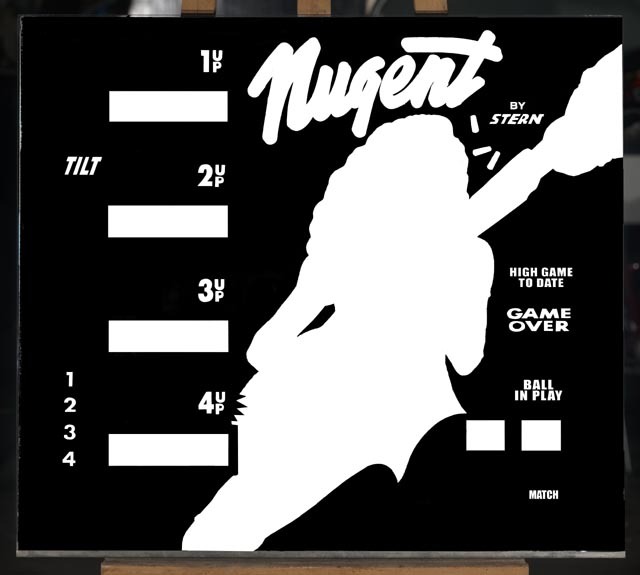 In the case of this Nugent glass, the areas around the score glass windows are mirrored (as is some areas around the player numbers.) There are two ways to restore this; remove all the ink from the original glass, and re-print on the original glass. This maintains the original mirroring. 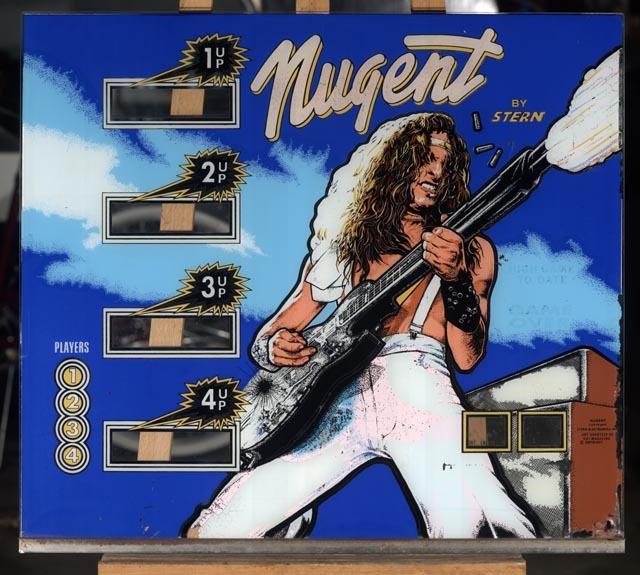 But if you don’t have an old “Nugent” glass lying around, obviously this won’t work. For this reason, we converted the mirrored areas to color, and re-print the glass on clear tempered glass (with no mirroring.) Judge for yourself below, we feel this comes out pretty well.